It’s vacation time and kids felt like improving their games in a fun atmosphere. While Typhoon No. 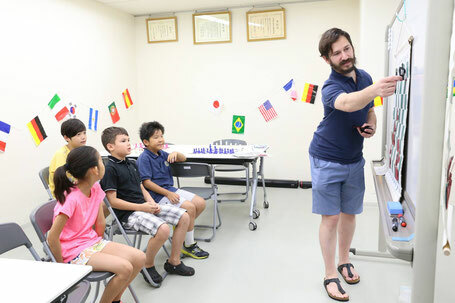 12 was on its way for Tokyo, Tokyo Bilingual Chess Club's Summer Chess Camp was held on July 28, 2018 and had 9 young players in total who all enjoyed a combination of classroom instruction and playing chess, as well as fun outdoor time with the lunch and snack time! Two levels were offered, one for students rated over 1000, and one for students rated under 1000. The “Beginners Class” was full of talented playersand was taught by TBCC instructor Kevin C. Izquierdo. During the day, basic endgame techniques were covered, building to more advanced concepts. The "Master Class", gathered the most kids - 5 young and talended players, led by Camp Director - CM Alex Averbukh, who put a tremendous amount of effort into the camp. 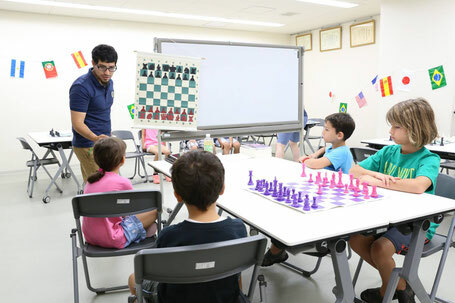 The topics were the importance of understanding theoretical moves in some endgames positions and how to improve imagination, and creative thinking. 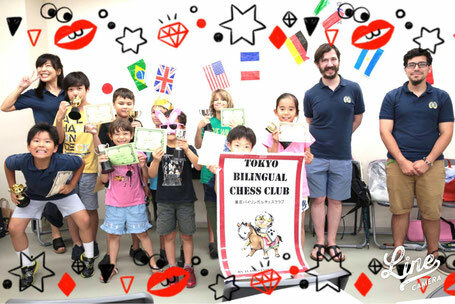 Many of the students attended the 2018 JCA Club Chapionship as the Tokyo Bilingual Chess Club's team and have JCA ratings around 1000, and more than half were the 3rd and the 4th graders. We hope this camp thrives for years to come. It was created to provide full-day care so that parents can leave their children for the day with confidence that camp will be fun and educational. And having multiple levels allows our students to receive targeted training from our level-appropriate and experienced teachers. 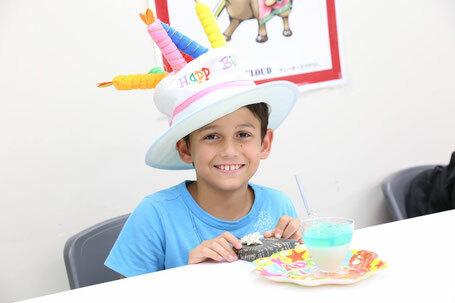 We had a July birthday celebration that will be lasting a memory. Party was super fun for our little chess enthusiast and friends. Tokyo Bilingual Chess Club donates a portion of the profit from chess camp and tournaments as well as your thankful donations to the Ishinomaki Children's Newspaper, which is a newspaper reporting on Ishinomaki today, written by the children of the twon, where was hit by the Great East Japan Earthquake in 2011. The newspaper was included in the souvenir package for kids to bring home. Thanks to all our teachers and parents the students learn new things during the camp, helping them to succeed. 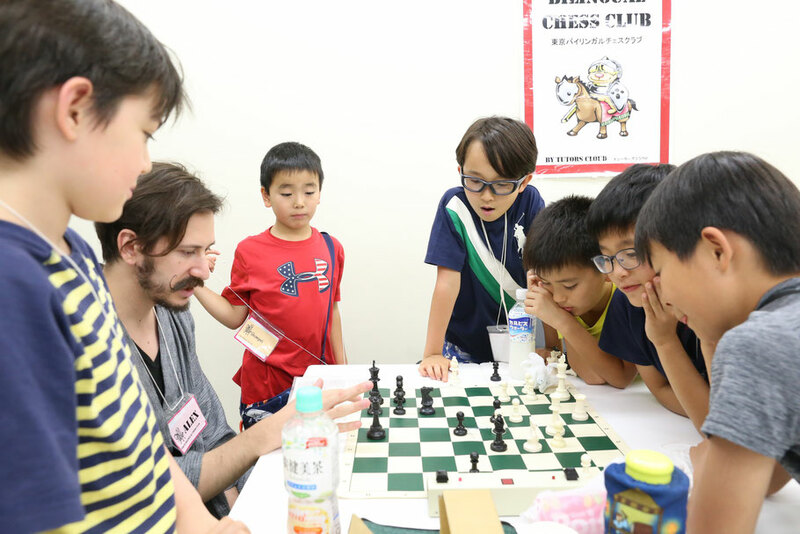 As always, thank you for being the best photographer, Emi Hasegawa, in the chess world! Thanks everyone for supporting our programs. Stay tuned for the 12th Scholastic Tournament this Fall! Chess camp will be open today, July 28th (Sat). However, heavy rain warning is in effect from 3pm so that an early closure at 4pm is planned (subject to change). We really appreciate your understanding. Thank you and stay dry! TBCC Members: 15,000 yen if registration and payment are received before July 20, 2018; 19,000 yen after early registration. 23,000 yen for on-site registration. Non-Members: 18,000 yen if registration and payment are received before July 20, 2018; 22,000 yen after early registration. 26,000 yen for on-site registration. Camp registration closes on July 20, 2018 and all payment must be transferred by registration deadline.